Netural written by mobile New Models! Super fast delivery. Received item with 2 days! Have not tried out the shoes yet. Well known for its comfort..
Haven't open packaging but it came with a box and packed sealed well. Item delivered as described, box was intact when delivered :) slippers feel amazing & comfortable!! Great buy during their 50% off! Fast delivery. Price is so much cheaper than outside. we will keep you updated when we have a promo again! I have been looking at ur site almost daily & waiting for the 50% promo .. bought a few pairs from u before. 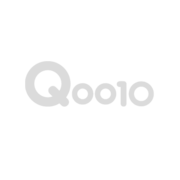 Hi There we cannot let you know when we have our sales unfortunately, they are decided between the brand and Qoo10. FF188-001 black leather lulu restocking? As of now, we are not restocking, will keep you updated once we restock! Kindly let us know your size and we will help you with selection? I just received my order but the size doesn't fit. Sorry there is no exchange for items but only return the item and we can refund! There is a technical glitch in qoo10 because of which we are unable to apply the coupon! We are constantly following up on the same! Kindly allow us sometime to fix the issue! Hi Seller, can't apply shop coupon. It is because you put the coupon allow to use only on shoe catageory whereas all the lady shoes are in it. But the men shoes you list them under Man's Bags and Shoes, thus you should allow your coupon in this catageory as well, all the problem will be solved! Its because, you need to follow your store in order to apply the coupon! Not true. Already follow still can not apply coupon for man shoes. There seems a technical error with qoo10! Hi, I cannot apply 50% coupon too. Due to some technical issues, this is happening. Please check again tomorrow! Hi, I still cannot apply the 50% coupon. Sorry you cannot apply for discounts for these items! Black Friday 50% STOREWIDE ? It was a technical error due to which 50% couldnt be applied! So is the error going to be rectified? We are still checking! Please give us a day's time, we are still trying to resolve!